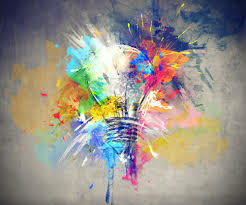 In our last blog we talked about why it’s important for CEOs to understand that creativity is an essential component of any organizational culture, and why our ability to think freely, to imagine and empathize, is going to become increasingly important in the coming decade. People with those skills have always been in high demand, and are set to become more so. But what exactly does creativity look like in practise? How do you unlock it? It’s all well and good to talk about how we must be more creative but how do you make this a part of day-to-day working life? The most important thing to say is that your company doesn’t have to be traditionally ‘creative’ to inspire creative thinking. In other words, creativity exists outside the traditional realms of advertising agencies, design studios, and multi-billion dollar tech companies, with their bean bags, air hockey tables and bar-fridges stocked with energy drinks. For CEOs and other senior managers, it’s worth paying attention to the ways in which you can remove barriers to creativity within your organization. When your employees understand that they work in an environment where their ideas – and new ideas in particular – are listened to and have been given a chance to fly, their levels of engagement tend to be higher. You do this by fostering a culture in which people are unafraid to take risks with their thinking. Not every idea is going to move your business forward, but where new ideas are concerned you always have to hear many before you find one worth paying attention to. It goes without saying that leadership sets the tone, and it’s important that you recognize that entrepreneurialism and creativity are closely linked. We live in a world of disrupters, fast-changing technology, and – as we talked about in in the first post – automation. So the ability to foresee certain scenarios or play them out in your head, is crucial to making sure you stay competitive (the most famous example of a failure to do so was the music industry, who refused to understand the power of MP3 files). Just letting these sorts of things roll around in your head – while out for a walk, meditating (very Silicon Valley), on your bike or at the gym – has huge advantages. One straightforward way to inspire creative thinking in your workforce is to ask people questions which require some level of imaginative response. How could we offer a better service in half the time? Should we increase our fees above the industry standard? Lower them? Should we look at companies we admire in other industries as role models? Should we work in teams or as individuals? Should we have fewer meetings? Remember, the best ideas tend to be fairly simple ones. All you need to do is ask the right questions. Harnessing the collective wisdom and imaginative potential of a company is not a project in and of itself. You can’t just start it one day and finish it in a month’s time. It requires a series of ongoing small acts of curiosity, open-mindedness, flexibility and inspiration. They will be hallmarks of successful companies in the years to come.